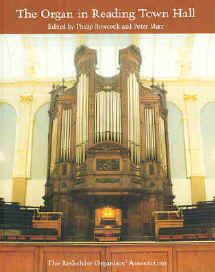 A collection of essays on the historic Father Willis organ in Reading Town Hall which was reopened in 2000 following complete restoration by Harrison & Harrison. Published by the Berkshire Organists' Association. Tickets for concerts, including recitals on the Father Willis organ, at the Reading Town Hall Concert Hall can be obtained from the Reading Arts Website or the box office on (0118) 960 6060.